David “Doc” Nelson joined the F-35 program as a project test pilot in 1981. Six years later, worked with Jon Beesley on his wing as the instructor pilot, he became the sixth pilot to fly the newest and most advanced 5th Generation multi-role aircraft in the world. For being the first to piloting F-35 Lightning II made him a legend and he is also the second person to fly F-22 Raptor. Since these historic flights, Doc has racked up a remarkable number of set records: He was the first pilot to fly AF-1, the U.S. Air Force’s first F-35A an opportunity he felt lucky to have as a retired Air Force fighter pilot. The first to fly the F-35 to its maximum angle of attack The first to log an F-35 spin and departure test. He is the first to fire an AIM-9X from the F-35 and the list goes on. In addition to all these remarkable flight test milestones, as the author of the first edition F-35 flight manual and pilot checklist, Doc literally wrote the book on the Lightning II. Today, he is the last of those first six pilots to still fly the airplane. 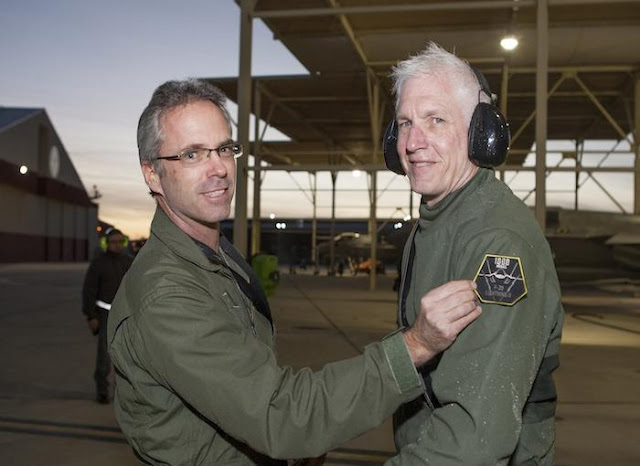 David "Doc" Nelson holds a reputation when he became the first pilot to achieve 1,000 flight hours in the F-35 during a test Sortie 06 January 2017. He achieved the milestone during a 4.5-hour flight in AF-03, one of the 461st Flight Test Squadron’s Joint Strike Fighters used for developmental test and tactical evaluation. There are many people and teams who have a total commitment to the F-35 – crew chiefs, maintainers, operations desk personnel, schedulers, administrative staff, test conductors, instructional techs and more – they keep things rolling every day. Not to mention the engineers who designed this amazing airplane in the first place. Everyone on this program invests a ton of work – most of them do more than their job description calls for. It's an honor. At my age, to be flying the best warplane in the world, it's a privilege and I thank my lucky stars every day,” Nelson said. Of course he is a retired Air Force pilot who still reflecting good moment he experienced during his full time executing national duty as a trusted fighter-pilot, Nelson has been flying the F-35 since 2009. He's been an experimental test pilot since 1991 and is a distinguished graduate of the U.S. Air Force Test Pilot School at Edwards Air Force Base. His colleagues and members of the 461st FLTS and Lockheed Martin salute Nelson in military traditional for his great achievement. Nelson "Doc" presented with the decorated honor a plaque and special patch on his flight suit for that outstanding "air ace" which is a milestone ever hard to break. One of his most remarkable memories was the first flight of the U.S. Air Force’s first F-35A. “We took off on a Saturday morning in November,” he recalls. “The flying qualities of the jet were remarkable and still are no big changes have been made since that time. It flew like a dream right out of the box. I attribute this to our Control Law engineers, who are geniuses.” When Nelson asked how the F-35 fly as compares to other aircraft he has flown, he answered that, there’s no comparison to the previous generation of fighter jets. The F-35 Joint Strike Fighter Has Flown 100,000 Hours and one of the 5 Gen-Stealth Warplanes ever. He emphasized,that through the miracle of dynamic inversion, all three F-35 variants feel about the same in flight. Dynamic inversion is the concept that allows the three F-35 variants to fly the same despite differences in tail and wing sizes and control surfaces.The jet looks like and handles like the world class fighter plane that it is, but you really can’t visually compare 5th Generation to 4th Generation aircraft,” says Nelson. “When it comes to the Radar Cross Section, it’s impossible to convey the tremendous advantage that stealth gives to a pilot. Yes, the F-35 can put on a stunning airshow, but its miniscule radar cross section is something you can never visually convey.” Doc describes the experience that 4th Generation pilots have when flying up against the F-35 as frustrating. “There are two types of pilot who believe in stealth,” he says. “Those who fly 5th Generations and those who fly against them.” Doc is confident that the F-35 will bring a whole new capability to the services and countries who operate it. “The F-35 is frankly a weapon we haven’t seen before. We’ve made multiple military services and countries happy with one airplane. The sensor suite is state of the art. The intuitive display funnels information into the pilot’s eyes so simply that you only need one person to fly it; compared to two for some 4th Generation aircraft flying the same mission.” He adds that the operators he’s spoken to that fly the jet have great admiration for it. 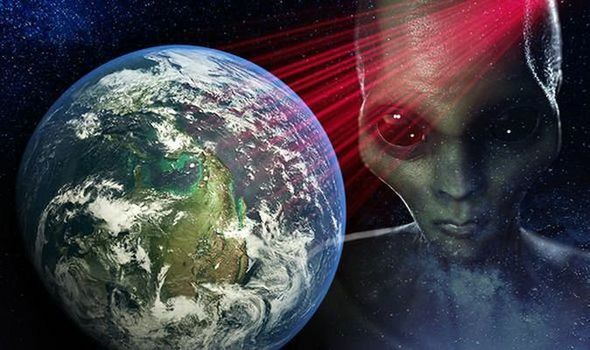 The Service's Resume for David Nelson,and the graphics used in this writing is a product of Lockheed Martin and it was compiled and edited by Nambili Samuel,the author of Science and Tech-News who also grew up in military environment.